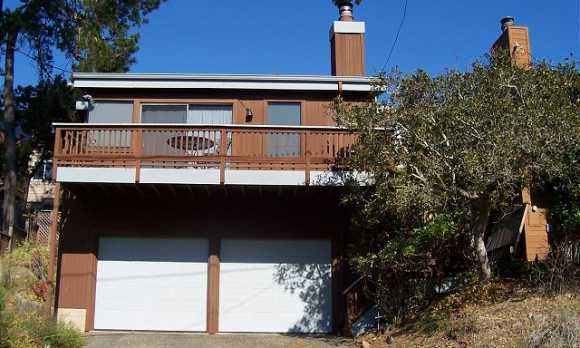 Inviting two story Cambria vacation rental home located in the pines with some ocean views. This residence has a relaxing deck in the front with ocean views and a secluded patio in the back offering an opportunity for leisure for whatever mood you are in. Upstairs you will find the home's living room, kitchen, and dining room that have been decorated with memorabilia from California's past. A few stairs up from the living room is the lovely master bedroom and the cozy second bedroom. The private master bedroom has a spacious walk in closet and private bath. In the second bedroom you will find a quaint loft above the room. There is also an appealing glassed in sunroom at the back of the house, off of the two bedrooms. 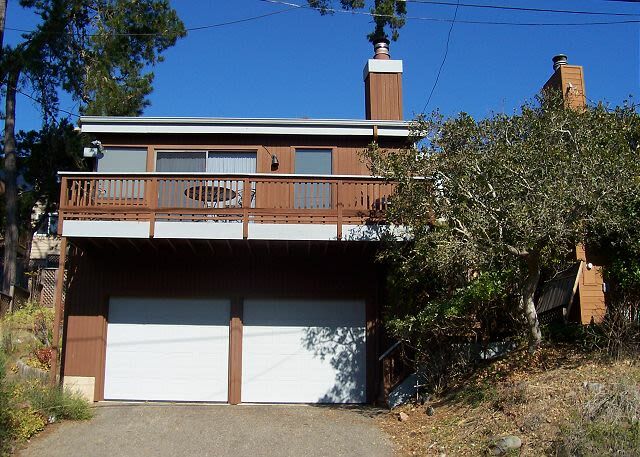 For more information about renting this two-story home for your next vacation of weekend getaway to Cambria and California's Central Coast, please contact Coastal Escapes.